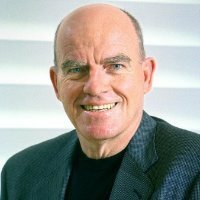 Neil Flanagan is the bestselling author of Management in a Minute, Creative Debt Collecting, Double Your Profits in Half the Time, and Just About Everything a Manager Needs to Know (a winner of The Australian Institute of Management’s Book of the Year award). The books form part of a unique corporate product, The Online Manager (TOM), available via Internet or an organisations Intranet. Neil joined with TMP worldwide (the owner of Monster.com) to develop ‘Transition to Management’ (T2M) – an online resource that meets the diverse training and development needs of middle managers. T2M is linked to the governments’ Frontline Management Initiative. Another key resource associated with T2M is “snapshots” – 20, two-hour management training modules – which Neil produces. Neil is a recognised management strategist helping some of Australia’s leading organisations to maximise profits by developing and implementing clear, concise strategies. The Management Bible remains one of Australia’s best-selling business books. The book continues to be customised and used by some of Australia’s leading organisations such as Australia Post, Woolworths, BHP Billiton, and QR. Reprint #13 is currently available in Australia. BLINK! The Speed of Life has become a bible on ageing, longevity, and life-quality. The management books have led to the development of a unique management tool, The Online Manager (TOM), customised by groups as diverse as the Australian Council for Educational Leaders, Swim Australia, The Department of Conservation New Zealand, The Chinese University of Hong Kong, and Rio Tinto Limited. As a management strategist, Neil works with the Boards of public and non-profit organisations, cooperatives, and Government-owned corporations. As a speaker and presenter, Neil has earned a ‘must-have’ reputation among the world’s conference organisers. Neil holds graduate degrees in Arts and Education and high research degrees in Management and Sociology.